Lawyers for a Fort Wayne man facing execution for the alleged murders of four people in 2016 are asking a judge to declare the state's death penalty law unconstitutional. Michelle Kraus and Robert Gevers argue in documents filed in Allen Superior Court the law violates several portions of the U.S. and state constitutions and should be thrown out. The death penalty is “disproportionate and vindictive” and “has no deterrent effect,” according to a motion they filed Tuesday. “Indiana's death penalty scheme violates due process of the law as required by the Fifth and Fourteenth amendments to the United States Constitution and the Eighth Amendment prohibition against cruel and unusual punishment because the Indiana Supreme Court has failed to develop a rational and uniform analysis for the appellate review of death sentences,” the document says. Marcus Dansby, 23, is charged with four counts of murder in the Sept. 11, 2016, slayings of Traeven Harris, 18, Consuela Arrington, 37, Dajahiona Arrington, 18, and the fetus she was carrying. The unborn child was later determined to be his. A fifth person was shot and stabbed but survived. Dansby is charged with attempted murder in that alleged attack. Prosecutors filed paperwork in early 2017 to seek the death penalty. 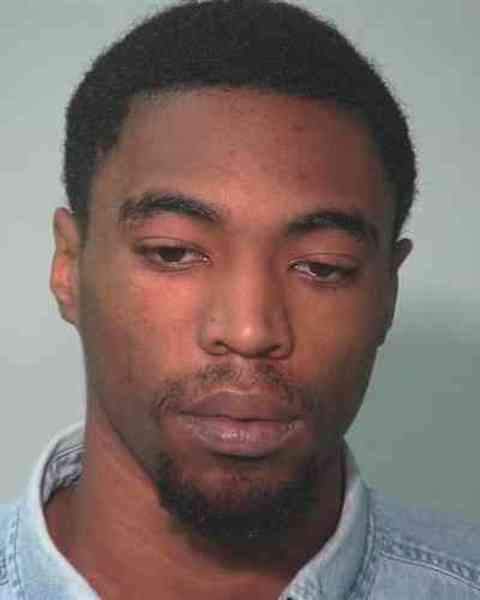 Dansby's is the only capital murder case pending in Allen County. The motion, which asks Judge Fran Gull to toss aside the state's death penalty statute, is the latest turn in a case that has had several. Gull removed a defense attorney from the case in January amid questions about the lawyer's caseload and his qualifications. In October, she ordered jurors for Dansby's trial in April to be selected from Marion County after defense attorneys argued pretrial publicity and potential juror bias makes it impossible for him to receive a fair trial in front of local jurors. The request from Kraus and Gevers cites case law and studies that they say highlight flaws in the state's death penalty law. Among them: jurors often decide the penalty in capital cases before the penalty phase of the trial, and jurors in death penalty cases often misunderstand or ignore penalty phase instructions. Many jurors also believe a death sentence is mandatory when it is not, the motion states. Jurors in Indiana can sentence defendants in capital cases to life in prison without parole. Kraus said Wednesday it's unlikely the judge will approve the request, which she described as a necessary part of Dansby's defense. “Across the nation, I think we're seeing more and more the death penalty is falling out of favor,” she said. Allen County Prosecutor Karen Richards declined to comment. The document provides context for claims included in the motion and refers to cases that Dansby's attorneys say show the state's death penalty was applied irrationally. Defendants convicted in some grisly murder cases were executed and some were not, they argue. “Race may also play a role in a prosecutor's charging or plea negotiation decisions, even when it is not motivated by racial animus,” Kraus and Gevers wrote. Robert Dunham, executive director of the Death Penalty Information Center in Washington, D.C., reviewed both documents Wednesday and said they provide powerful arguments against capital punishment. Particularly, he said, legal arguments in the documents are bolstered by academic research and news reports. The death penalty in at least two states – Connecticut in 2016 and Washington last month – was abolished after challenges in court, and Dunham said he expects more to be filed. “I would expect that, as the data begins to mount ... we'll begin to see more sophisticated and focused challenges on the constitutionality of the death penalty,” he said.